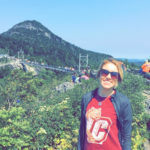 Editor’s note: Enjoy our new series on navigating adulthood, called “The Adulting Experiments.” Our contributor, Brittany Wright, is a twenty-something working to better herself and feel more grown up in her life. Join us every month for her new (highly relatable) updates on life experiments and challenges. I’ve had at least a part-time job since I was fifteen and was working full-time by seventeen. I enjoy working (most days) and have always appreciated the sense of security that comes with having a job. So, when I up and quit my job of four years with no new job in place, it was absolutely terrifying. This was the first time in eight years that I wouldn’t have a job. Sure, I had a couple interviews lined up, but interviews are scary enough on their own. The first few days were filled with productivity: I updated my resume, made a LinkedIn, searched for jobs, applied for jobs, wrote cover letters and refreshed my e-mail every ten seconds. I changed my online portfolio twenty times and asked everyone to look over my resume. By the end of each day I wanted to bang my head into a wall and never write another cover letter again. This routine lasted for the first three days from the sun up until sun down. Adulting Tip: A lot of companies have a resume scanning system that will only pull certain resumes through based on keywords, so keep that in mind while submitting yours. After I applied for every job in America related to writing/marketing/social media, I shut my laptop and retreated to my bed. For the next week, all I did was watch Netflix, cry and did way too much snacking. There were days that I didn’t even turn my light on and literally only got up to use the bathroom. My attitude wasn’t healthy or fun, but it’s terrifying not knowing what’s going to happen next. It had only been a week and a half, and I was losing hope. Thankfully, my mom offered to bring me along on her beach vacation with her friends. I’m never one to turn down a free beach vacation, so I packed my bathing suits, books and bike and headed to the beach. I’m not sure if it was the people, the beach or everything, but I felt something that I hadn’t felt thus far during my time of unemployment: excited. The wave of enthusiasm hit me as I realized that now was my time. I could seriously pursue my goals and dreams. It didn’t take long for me to decide that if I wasn’t offered any of the jobs I had applied for, I was going to sell my car and move to New York even if that meant living in a shared bedroom and working a few temporary jobs. Returning from vacation, I had a whole new attitude. There would be no more laying in bed or crying. I was either going to get a job in Charleston, or I was moving. Either way I was determined to make something happen. My fist move was following up with an agency I had interviewed with already. They actually scheduled me for a second interview. Next, I searched to see how much I could get for my car if I did sell it. Then, I made my way back out with friends, stopped worrying and continuously reminded myself that everything was going to work it’s way out. My carefree attitude and optimism slowly faded and by the end of the week it vanished. I was back to binge watching Netflix in between naps, but there were some days that I woke up excited again. It was day by day and I never knew what I was going to feel like. It was a mess. Unemployment is a roller coaster. One minute you’re hopeful and the next you’re trying to brush the cheeseball dust off your shirt. It’s important to breathe and remember that you’re in control of your life. No matter how hard it is, do it. Laying in bed all day in complete darkness is not productive or healthy. You have to get up and at least take a walk and make some food. Of course you have to apply for jobs to get a new job, but give yourself a break. Writing twenty different cover letters day after day will completely drain your brain. Figure out what you really want and try to make it happen. You’re an adult and this is a turning point in your life that will turn itself into whatever you decide to put your mind to. Don’t seclude yourself from your friends and family. They are there for you. They will make you laugh when you don’t feel like laughing and will hug you when you’re crying. I was unemployed for a month before receiving a job offer and it was a complete mess of a month. There were times during those thirty days that I didn’t think I’d get any job let alone a job doing exactly what I want to be doing and a new side writing gig. It’s easy to feel defeated and sad, but it’s during those times that it’s most important to stand up, look in the mirror, smile and remind yourself that things will be okay. Adulting is scary, but it’s also really freaking awesome.